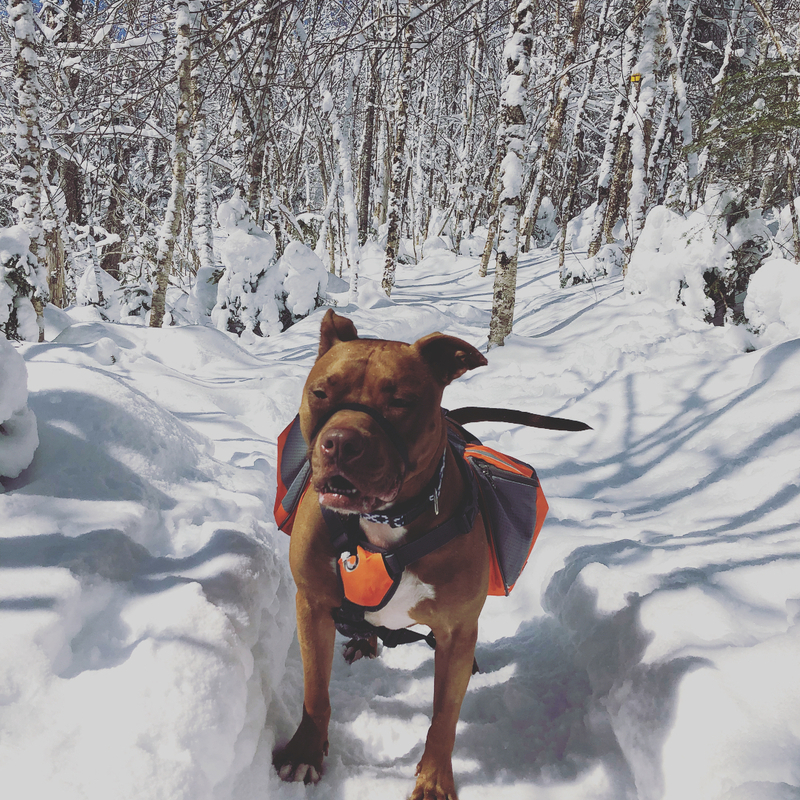 Explore new ground with this Outdoors Dog Harness Backpack! 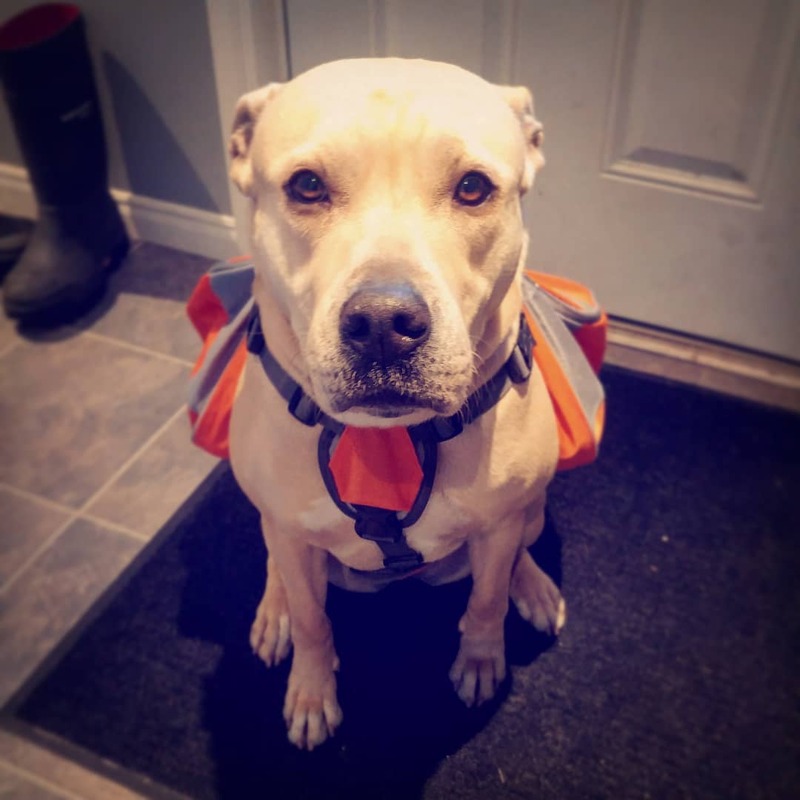 It's made for day-tripping dog lovers because it allows your pup to comfortably carry extra gear and essentials! 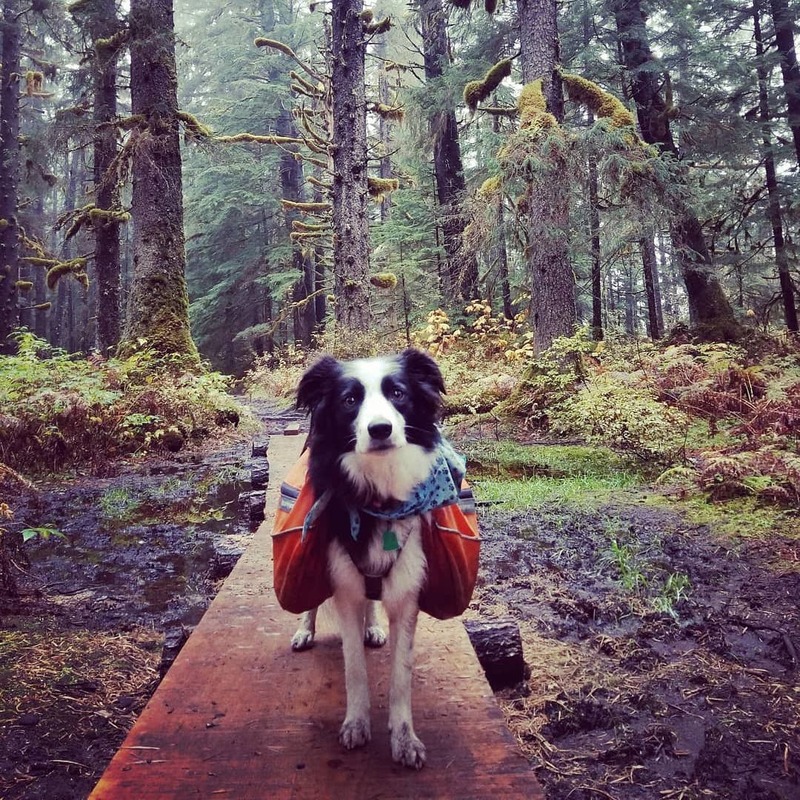 A light-capacity pack featuring a saddlebag-style design, it’s ideal for both quick getaways and everyday errands with your dog. 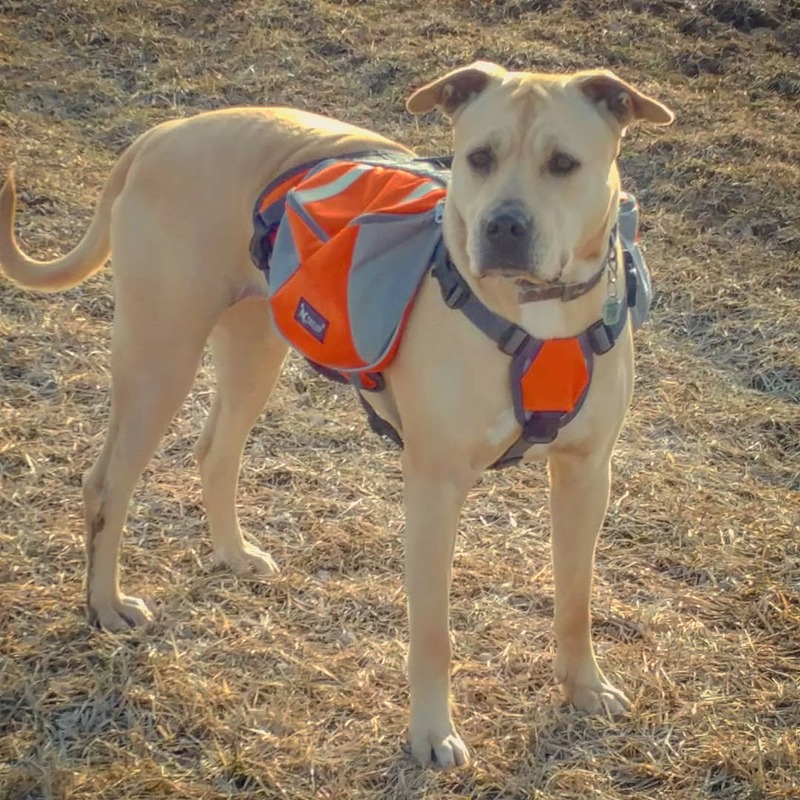 Enjoy the convenience and storage space of 2 expandable pockets and, when you’re ready to roll, simply attach your pup’s leash directly to the backpack's D-ring clip. Plenty of storage space. 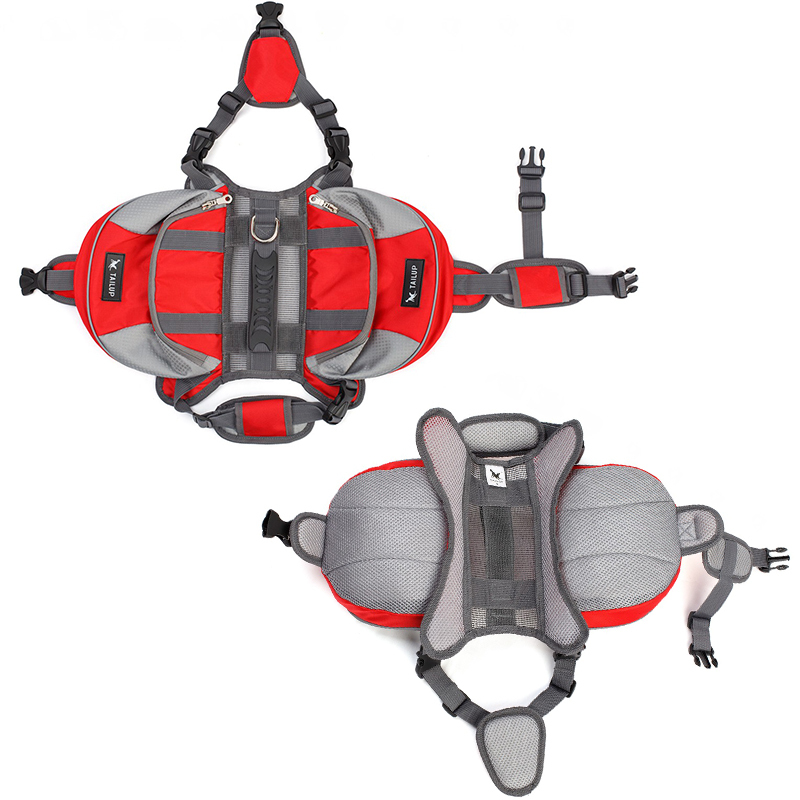 Two expandable pockets provide storage for food, toys, and other necessities. Comfortable. 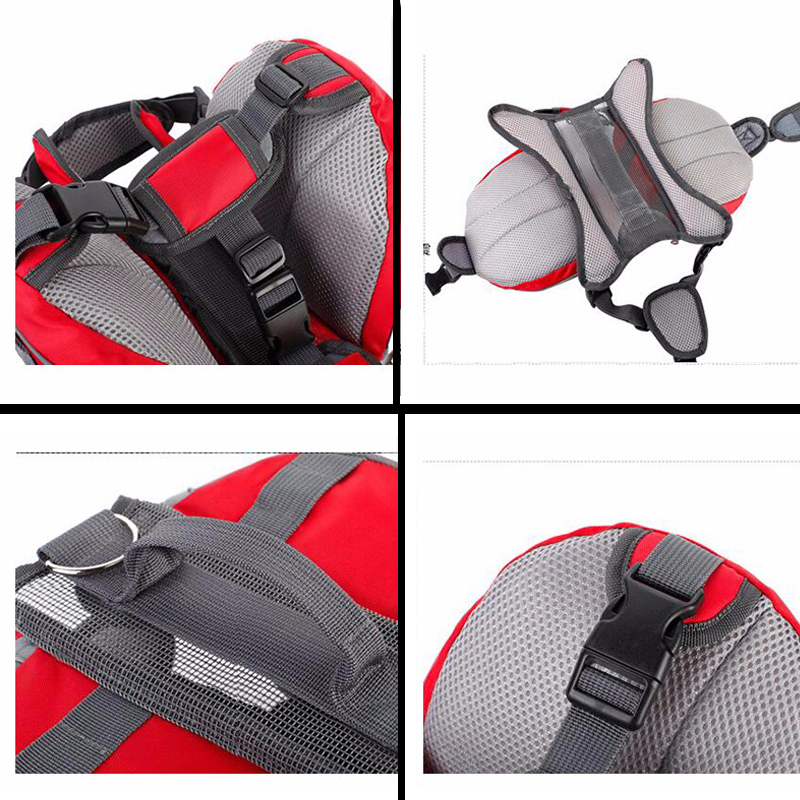 Adjustable straps and breathable mesh gives your dog maximum comfort and fit. Quality, easy to clean material. Water resistant fabric is perfect for outdoor adventures and easy to clean. 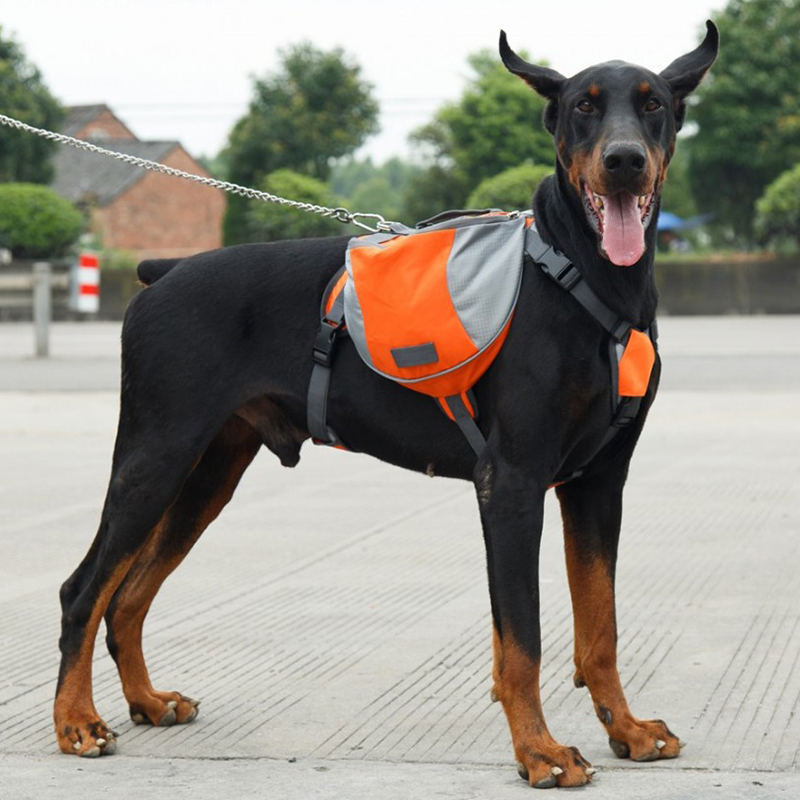 Comes with a D-ring for leash attachment. Plastic buckles allow for easy on and off. Vibrant colors enhance visibility.